Joey, a senior Interpersonal Communication major at the University of Delaware, never imagined he’d be interning for a commercial production company in New York City. Yet, that is exactly what he did this summer. While interning in the city that never sleeps, Joey further developed his marketing knowledge and added experience to his professional resume. As this week’s featured Blue Hen intern, Joey shares with us his experiences, as well as, some advice he gives to those interested in pursuing a similar internship or career path. To learn more about Joey and receive an inside look on what it’s like to intern for HumbleTV, read the interview we had with him below! Want to be featured as one of our Blue Hen Intern Snapshots for a future blog post? Email Keri at kbetters@udel.edu with the email title: “UD Blog Interview”! 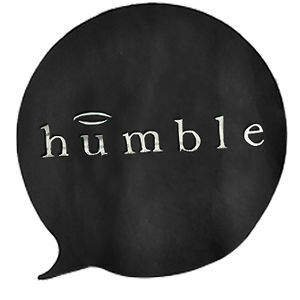 Humble TV, a commercial production company in New York City. In my internship search for Summer 2013, I stumbled upon an advertisement on Craigslist for this company in New York City. The position was titled Marketing Assistant, which wasn’t exactly what I was looking for, but I put myself out there and applied. After e-mailing with the internship adviser, we scheduled a Skype interview. Within a week of the interview, I found out that I had received the position. As the Marketing Intern, I had a variety of responsibilities. In the office, I conducted multiple research projects on potential new business, created video reels for directors, and developed social media posts for the company’s Facebook and Twitter pages. Outside of the office, I utilized some “guerilla marketing” tactics by posting promotional flyers for an animated short film produced at our office. I also served as a Production Assistant on the set for an Under Armor commercial. That was awesome! My favorite thing about my internship was the people I worked with. They were all so friendly and helpful, willing to explain confusing tasks and understand that this was a learning experience. I also loved that the office was always stocked with great snacks. As an Interpersonal Communication major, what is one thing you can take away from your internship and apply to your classes here at the University of Delaware? One thing I have applied to my classes at UD is to ask for help. If something is confusing, ask for clarification or go to office hours. Not everything will come easily the first time. Professors understand that you may be learning new material and they are usually very patient and willing to help. What was something unexpected that happened during, or came out of, your internship experience? I was not expecting to be on set for a commercial shooting. It was so interesting to see the directors at work. We were filming outside by the Brooklyn Bridge. It was unforgettable. Put yourself out there. My career path is heading towards public relations, but I applied for this Marketing position because it looked interesting and I wanted to experience different office environments, since I had an internship at a theater production company in New York City the previous summer and did not enjoy myself as much. Additionally, it will only help you and make you a more well-rounded and competitive job seeker to have experience in multiple fields. Go above and beyond in your internships. This is your chance to prove yourself. If you provide solid work, reach goals, and impress your internship advisers, they could end up being your employers. Build relationships with as many people as possible because you may need something from them in the future and it will be helpful to have them as a resource. Next: Next post: Mary Jean Monday: The single most important thing Walt Disney can teach us.